Mohs surgery and post Mohs reconstructive surgery can be performed either separately or at the same time. The procedure is performed either under a general or local anesthetic depending on the nature of the surgery. The lesion is excised and the wound is then closed. Regardless of the technique used, Dr. Jejurikar will take care whenever possible to ensure that the resulting suture line is positioned to follow the natural creases and curves of the skin in order to minimize the appearance of your scar. In some cases, post-Mohs reconstructive surgery must be performed in two stages, particularly when certain flap techniques are used. In these cases, the first stage creates and repositions the flap and the second stage separates the flap from its original location and blood supply. A second surgery may be required to complete the reconstruction. Recovery time varies depending on the extent of the surgery performed. Dr. Jejurikar will be happy to talk with you personally to address any of your questions or concerns. 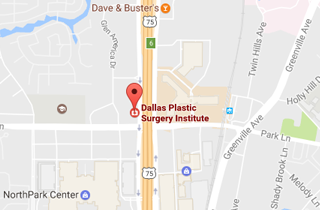 Call (214) 827-2814 to schedule a one-on-one consultation with Dr. J. to discuss Mohs Reconstruction at our Dallas office.